Welcome Home! 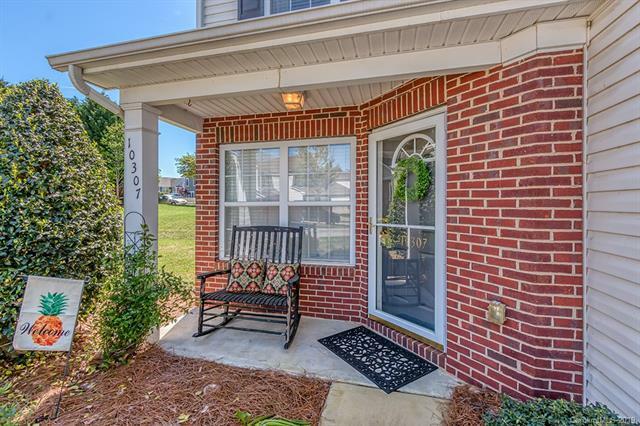 This lovely end unit townhome has inviting covered front porch for friends and family. 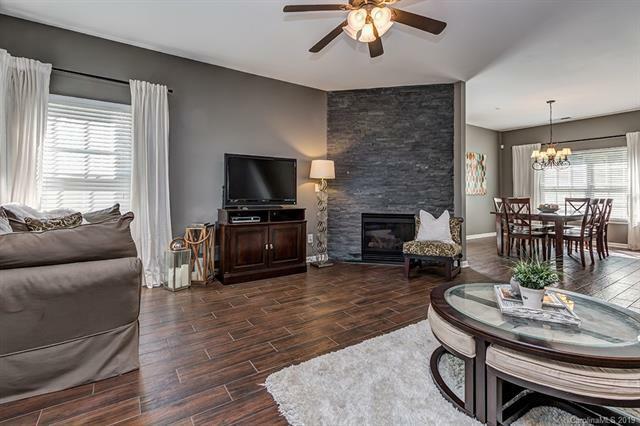 Great room has stack slate floor-to-ceiling fireplace; 5" ceramic wood tile flooring throughout main level. Bright, open and fully functional kitchen w/ large island. Dining area provides space for even the largest of tables! 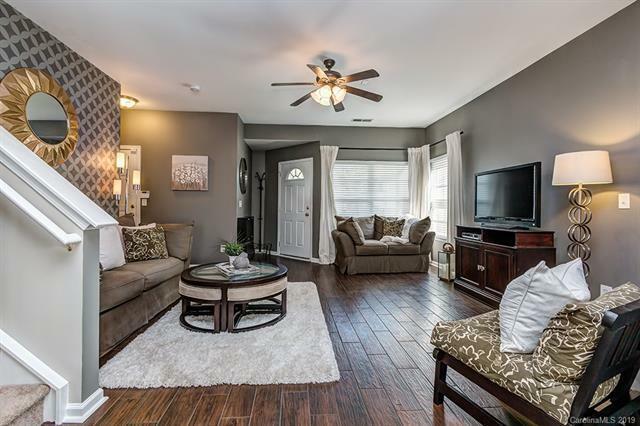 Master bedroom w/ vaulted ceiling, private tiled bath and large, walk-in closet. Both secondary bedrooms are good sized. The shelf and tv mount in office convey. Large laundry w/ shelf is ultra convenient next to bedrooms. Garage and parking for guests. Home backs to trees with no units behind it & boasts private patio. Community pool at end of cul-de-sac for easy & quick access. 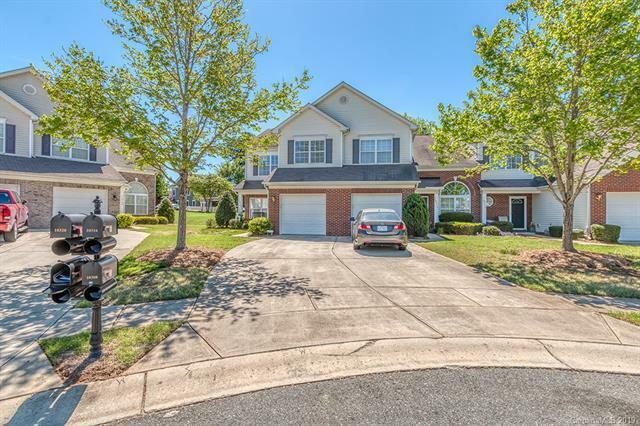 Pineville is an amazing gem with dining, shopping and easy access to 485/51/77.